"I can look out my window next to my desk and see where my grandfather was born on Ferry Street and where my mother was born on Garden Court Street," says the late Sen. Ted Kennedy. "My father was born on Meridian Street in East Boston." Those words are from a Kennedy oral history, recorded in 2005 by scholars from the University of Virginia. "I can also see the Old North Church and St. Stephen’s Church, the Bunker Hill Monument, the Constitution. And, if you lean out a little bit and look to the right, you can see Faneuil Hall," says Kennedy. "This is the whole birthplace of America, and down the sweep of the harbor, I can see the building where eight of my forebears came in in 1848, out of one window." Kennedy recorded the oral histories between 2005 and 2008. They were released Wednesday by the University of Virginia and the Edward M. Kennedy Institute for the U.S. Senate. And, perhaps serendipitously, we happen to be just a few days away from the 50th anniversary of the Immigration Act of 1965 — the first big legislation Kennedy pushed through Congress. In a later 2007 recording, Kennedy lamented Congress' inability to pass comprehensive immigration reform. The oral histories also reveal a lot about the "old boy" nature of the old Senate. Kennedy talks about how he got his first assignment on the immigration committee in 1963. James Eastland of Mississippi poured him a stiff scotch at 10 a.m. one day, and asked Kennedy if he wanted the assignment because "you've got a lot of Italians up there in Massachusetts." Eastland said, "You drink that down, you've got the assignment." In a 2008 interview, you can hear Kennedy's frustration at how much governing had changed. He called Bill and Hilary Clinton's handling of health care reform in the 90s, "catastrophic". And, he spelled out how uninsured Americans had to make tough choices. "Parents that hear a child cry in the night and wonder whether they are $485 sick, because that’s what it costs to go to an emergency room. They listen to the child. Is the child getting sicker or better? They wait until the child finally goes to sleep and wonder whether the child is going to be worse in the morning, because they can’t afford the $500. Or they take that $500 that they set aside to educate their kids, and it’s gone." But perhaps most interesting, the oral histories reveal a senator who knew he was at the fulcrum of history — and, a turning point in his own life. Kennedy died in 2009, but in one interview, he looks back with pride at American progress since the 1960s. "I think we were — and are — the revolutionary society. No country, no culture, no history has ever made the progress that we’ve made on race and religion, on ethnicity, on women, on disability and also, now I think, in terms of gay rights." But then, he says people now aren't being inspired, challenged the way he believes they were in President John F. Kennedy's time. And you hear the late senator worrying about contemporary American politics. "People are less involved and participating less. There’s a frustration out there, and I think an awful lot of people come in and pick up and play on that kind of atmosphere — and are doing it very successfully," says Kennedy. "It’s an unchallenged nation at this time." 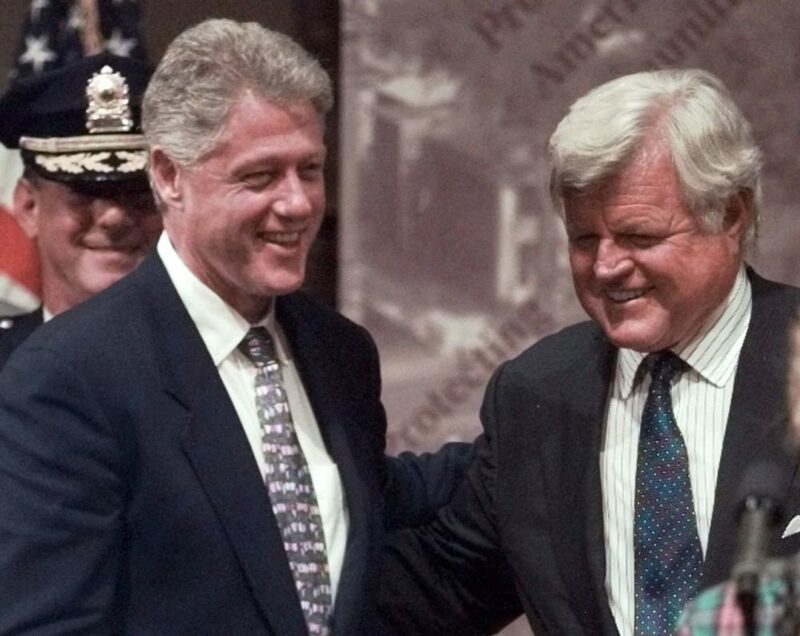 "In newly released recordings — detailed in transcripts — U.S. Sen. Ted Kennedy expresses his displeasure at the way a failed 2007 immigration bill was handled and the secretive way President Bill Clinton moved on his failed universal care proposal."